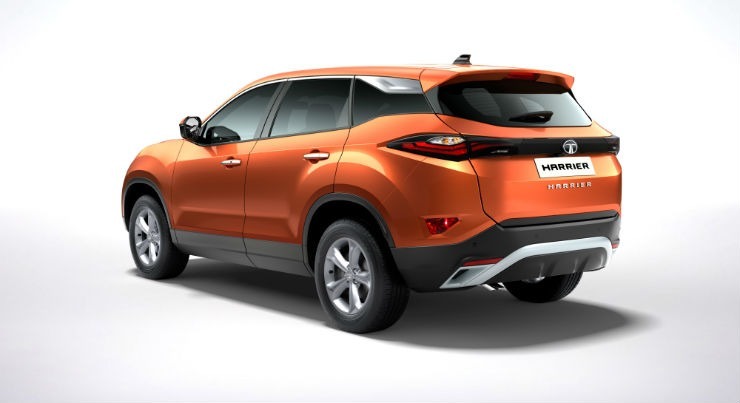 Tata’s most-awaited SUV, the Harrier has been finally officially revealed through a video. Tata Motors has been releasing teaser videos for the upcoming SUV for a long time now. Finally, a video has been revealed that completely reveals the Harrier’s exterior design. 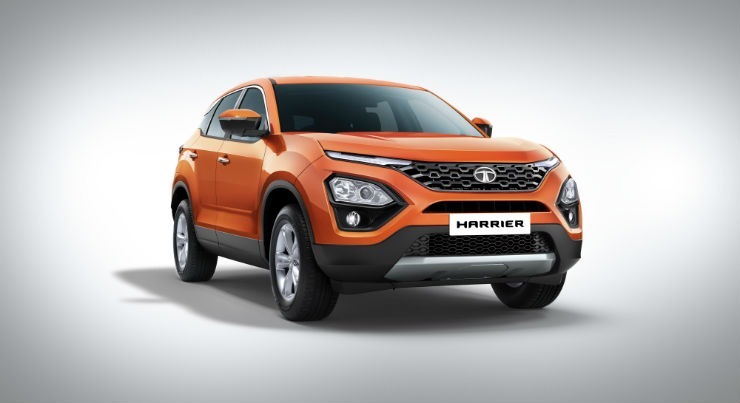 The Tata Harrier is based on the H5X concept model that was revealed at the 2018 Auto Expo earlier this year. Tata announced that the production version would stay close to the concept version and now that the vehicle has been revealed, it does look close to the concept version of the vehicle. This is the first-ever vehicle that has been built on the Tata’s OMEGA platform that has been derived from the Land Rover’s LR550 platform. The official pictures and video shows that the Harrier gets Tata’s latest IMPACT 2.0 design language. It gets a sleek grille at the front and on both the extremes, sleek LED Daytime Running Lamps are located. The main headlamps are located below in a blacked out enclosure alongside the round fog lamps. The Harrier looks quite rugged and gets a black bumper with a wide silver skid plate. The whole body gets a cladding that can be seen on the wheel arches too. At the rear, the Harrier gets a similar black bumper with a silver insert. The exhausts are smartly integrated into the bumper itself. The tail lamp section is also quite interesting. It gets split LED taillamps with a black element connecting both of them in a neat way. It also gets a roof-mounted spoiler that adds the sporty bit. From the side, Harrier looks quite interesting. It retains the thick C-Pillar shown in the H5X concept. The blacked out pillar gets chrome insert that adds a very premium look to the vehicle. It is a two row, 5-seater vehicle, so the rear row has been placed in a way that the thick pillar does not affect the visibility. It also gets 18-inch alloy wheels but they are not as exciting as the ones shown on the H5X concept. The pictures also do not show the sunroof of the Harrier. It was earlier being speculated that it will offer a sunroof. However, it is quite possible that Tata will offer it as an accessory like the Nexon. It gets dual-coloured ORVMs and a sleek chrome bead running on the window line too, which further add a premium look to the vehicle. Tata earlier revealed that it would be powered by the KRYOTEC engine, which is a rebadged version of the 2.0-litre MULTIJET Fiat engine that also powers the Jeep Compass in India. The power details have not been revealed but it is expected to get 140 Bhp of power. Tata would also use a 6-speed automatic transmission sourced from Hyundai. Tata has already started taking official bookings at a payment of Rs. 30,000 and the prices are expected to remain between Rs. 16 lakhs and Rs. 22 lakhs, on road. The deliveries are expected to start by late January 2019. « Tata Tiago has a whopping 25 variants: We explain!